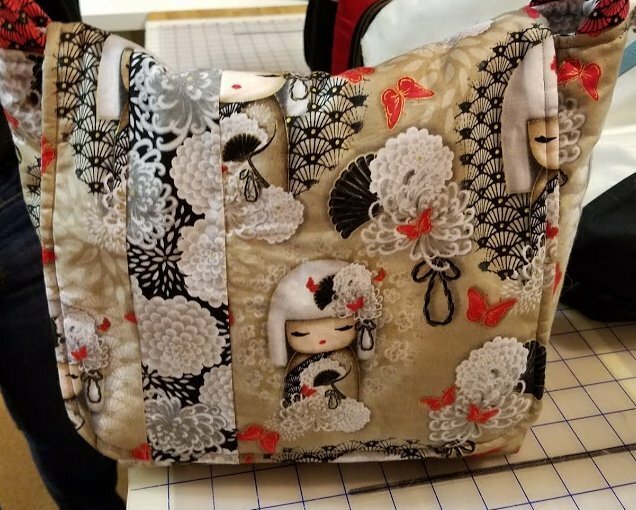 Create an awesome one of a kind bag in just one day! Pick fabrics that reflect your personalty, your likes, your hobbies...anything that you can imagine. 2. Fabrics and Fusible Fleece - This amount of fabric and fusible fleece will depend on the size of the bag you wish to make. Please see store personnel for assistance on the fabric choices and amounts. 3. Sewing machine in good working order, cleaned and oiled before class. 1/4" foot for proper seam allowance. 4. Basic sewing supplies: scissors, straight pins, seam ripper, pen and paper to make notes if you wish. 5. Rotary cutter, rotary mat and at least a 6" x 24" ruler.